Welcome to the four-star Lake Hotel in Killarney where a milestone chapter in a great Irish tourism success story was celebrated in 2012 as the country’s first family-owned hotel group marked 100 years in business. 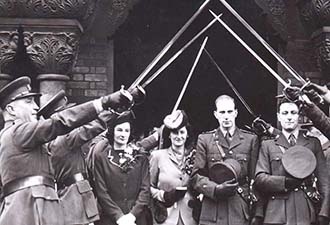 The Lake Hotel owners, the Huggard family, were delighted to reach the magical centenary after 100 wonderfully enterprising and successful years during which they have earned a deserved reputation as one of the great pioneering families in Irish hospitality. The marvelous family tradition in the hotel trade is being maintained and further developed in County Kerry at the award-winning Lake Hotel in Killarney and the popular Butler Arms Hotel in Waterville which are now owned and run by third and fourth generations of Huggards. The secret to success that has served the family so well down through the generations is the emphasis placed on quality, attention to detail, first-rate customer service, a warm welcome and a determination that all visitors to hotels run by the Huggard family become friends as well as guests. Hilda Huggard of Waterville and the Lake Hotel 1916 - 2001The proud history of the family’s involvement in Ireland’s hospitality trade dates back 100 years when Martin Huggard, an enterprising farmer and fisherman, and his wife Mary Doyle, operated the 28-bedroom Bay View Hotel, overlooking the sea at Waterville, Co Kerry. 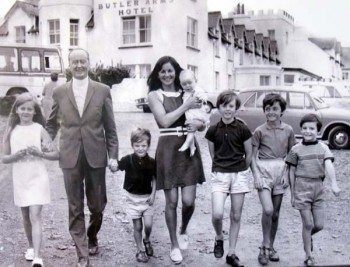 They were blessed with seven children, Noel, Maud, Hilda, Billy, Cecily, Brendan, and Patricia, many of whom went on to leave a hugely positive imprint on Irish tourism in general and on the hotel industry in particular. 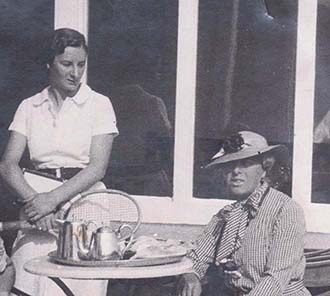 Hilda Huggard of Waterville and the Lake Hotel 1916 – 2001 Martin and Mary acquired the 60-bedroom Butler Arms Hotel in Waterville in 1917 and, as the years progressed, the Huggard hotel empire grew with the purchase of Caragh Lake Hotel near Killorglin, the Royal Hotel on Valentia Island, Ballynahinch Castle Hotel in Connemara and the landmark Ashford Castle, also in Connemara. The Lake Hotel, which has been carefully developed to become one of the finest establishments in the country, is now personally run by Tony, Colman, Niall and Joe Huggard, and it has enjoyed remarkable success, including the receipt of several national quality awards for cuisine, quality, service, and hospitality.